$15 per year per person allows us to do so much. Plus it shows a commitment to the club. The best stuff in life is not always free. 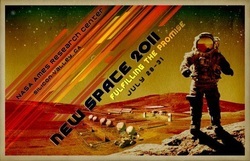 Any sponsorship from $1 to a Space Shuttle launch is greatly appreciated. All food donations click here. An exciting new program being pioneered by Ami Kumordzie and other passionate students at Hopkins. We all share a love of science and a fascination with the world around us, and we are interested in mentoring the next generation of future scientists, engineers, doctors, etc. The aims of this camp are to raise interest in science engineering and technical fields among underrepresented groups and females. As a special twist we have tailored the topics of this camp to relate to modern space exploration and discovery, to cultivate the idea that nothing can hold them back/keep them down, not even gravity. 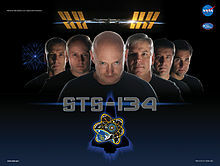 STS-134: The official final Space Shuttle launch! JHU SEDS will be traveling down to Florida to see STS-134, one of the final Space Shuttle launches left before it’s retired forever. Join us as we say good-bye to Shutle Endeavour. We will also be holding a collaborative rocket demo event with the SEDS chapter at the University of Central Florida, using paraffin wax and nitrous oxide. This event is a chance for members to see a once in a lifetime event, get hands-on experience building a hybrid model rocket, and network with NASA employees and commercial space companies looking to hire students.